Capture the amazing journey of seeds sprouting in this digital Plants Journal! 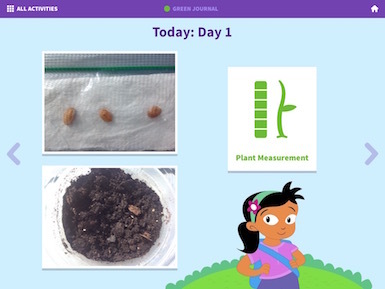 Make daily observations of plants and record their growth through photos and measurements. Explore graphs and albums to see how the small seeds changed over time. 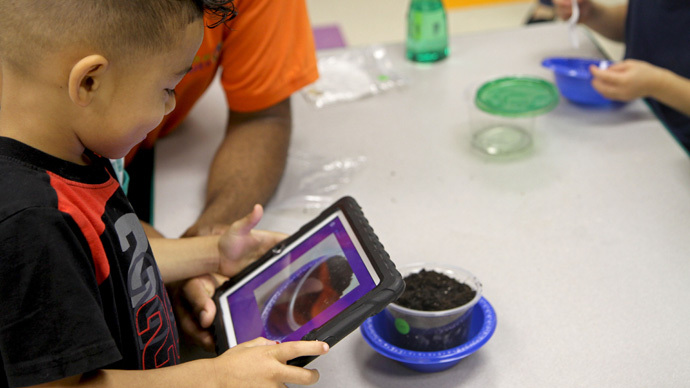 Through hands-on care and digital documentation, the Plants Journal will inspire children to observe and appreciate the incredible transformation of growing plants. The Plants Journal is part of a Plants curriculum supplement from Early Science with Nico & Nor™ that was rigorously researched and developed specifically for preschool classroom use. Early Science with Nico & Nor curriculum supplements combine traditional classroom activities with digital learning to promote young children’s engagement with age-appropriate science practices and concepts. Explore the Nico & Nor Early Science Teacher’s Guide!